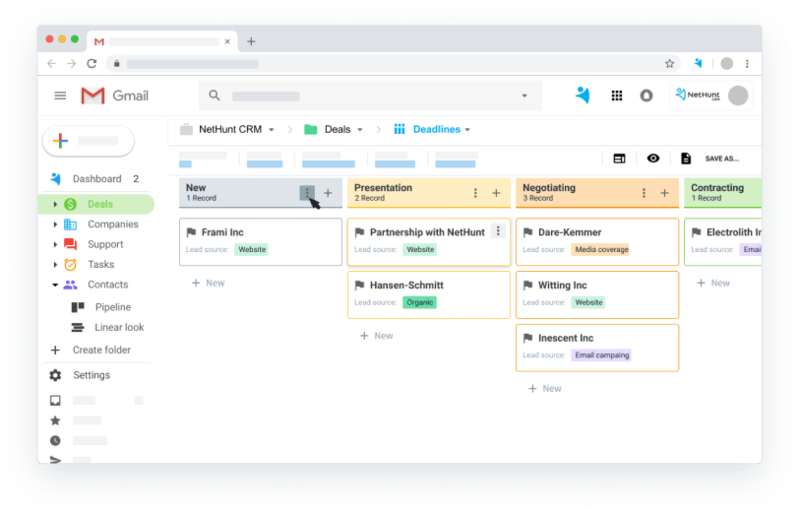 NetHunt CRM ties to Gmail and other G Suite apps you work in, automates data flow, and makes important information available to you anytime, anywhere. Discover highly functional CRM solution for your business. 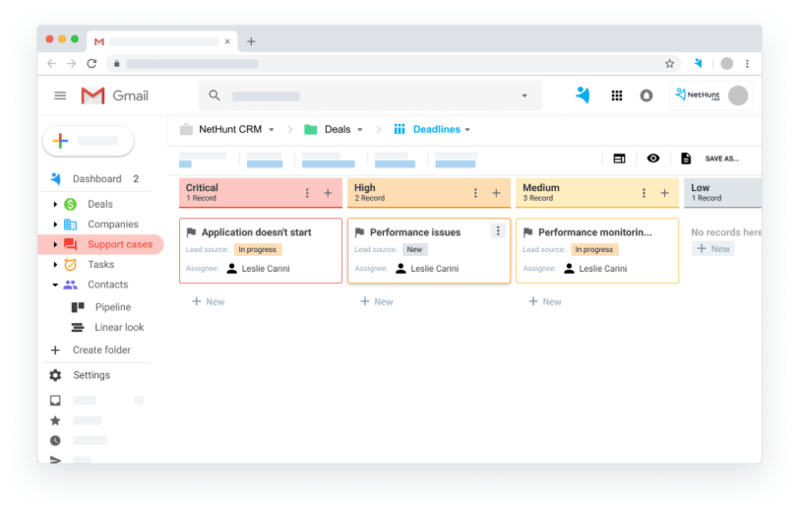 NetHunt is ready to use right away - no special CRM skills required. A full-featured solution, no matter the budget. Create leads from emails, social profiles, and chat messages in just one click. 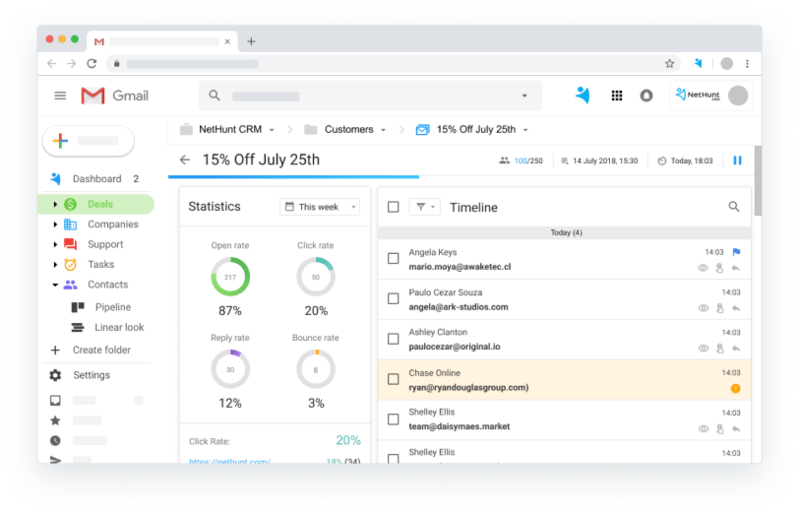 See key customer details in every email. Use insightful reports to monitor important sales metrics. Send personalized email campaigns powered by insightful analytics. Avoid “Promotion” and “Spam” - land unlimited messages right into the Primary Inbox. Automatically update CRM data based on the email campaign results. Automatically create and assign support inquiries. Increase client satisfaction rate by providing quick resolution.